How long does it take to learn English perfectly? How long does it take to learn English perfectly? Well, it really depends on you, and how much work you would like to put into learning and improving your level of English. Rather than striving for perfection, it is important to be working on improving your level of English every single day, so that it does not you years to learn English. In this video lesson, we will go into the details how long it will take you to learn English. 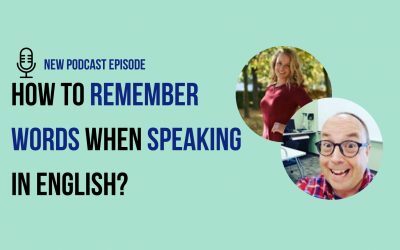 How long will it take you to learn English perfectly? Answering this question, I would like to highlight one problem. If you strive for perfection, you will always be disappointed. Rather than striving for perfection, work on learning from yesterday and working for a better tomorrow. It is more important (and you will also feel more satisfied) to make progress and make a few mistakes along the way, rather than aiming for perfection! Now that we have clarified that, let’s reword today’s question to: How long will it take me to learn English? How much time are you dedicating every day to learning English: some students start learning with BIG goals, and plan to dedicate hours a day improving their level of English, but do you know what happens in the long term? They burn out, give up and just get angry because they feel that their English hasn’t improved. Instead of dedicating such a large amount of time in the begging, start small. Start with a small goal of dedicating 15-30 minutes to learn and develop your English skills every day, rather than hours a day and burning out in the long term. Are you being consistent with your learning: are you making it a priority to learn every single day or only once a month? This will drastically impact how long it will take you to learn English. If you are only focusing on improving your English once a month, then you will see progress in your ability to improve your English. but if you are working every single day to improve your level of English, then you will see improvements in a relatively short amount of time. I personally recommend 30 minutes of effective study every single day to learn English. 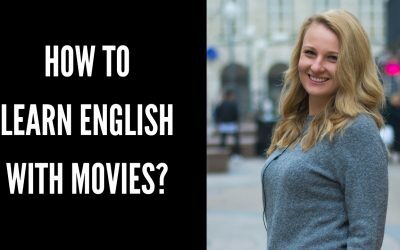 The first step is immersing yourself in the English language, by changing your daily routine to incorporate simple tasks such as watching a movie, listening to a song or a podcast, reading a book or the news in English. With the second step being using your English, both in spoken and written form. Simple things such as speaking to friends in English and keeping a diary in English will enable you to better remember new words and vocabulary but also improve your confidence communicating in English. Are you working on all areas of your English: to be able to communicate in English effectively, it is important to be developing your reading, writing, speaking and listening skills, along with developing your vocabulary and grammar skills at the same time. Are you working on all of these areas on a daily basis? Are you having fun learning English: English is a means of communication and talking, writing and interacting with people should be fun. If you are having fun and genuinely enjoying the learning process, you will find that it will not take you that long to improve your level of English as you will want to work harder and do more to improve. But, if you are bored learning and not having fun, it will be a lot harder to develop and improve your level of English. …but Adriana I really want to know exactly how many hours it will take me to learn English perfectly! Sorry guys, but I cannot answer this question. Everyone is different and learns differently. I would love to tell you the exact number of hours or days you need, but we as humans are all different and learn differently. Do what works for you, stay positive and I am sure that with these tips you will improve your level of English in no time! Wow thanks Yonny for sharing this with us here! It really does take time and you really explained it nicely here!